We are just over 2 weeks away from our 2nd Annual Corpus Christi Brewery Festival! Mark your calendars for June 2nd, it’s going to be an awesome day! 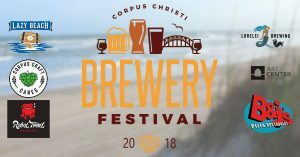 Check out www.ccbreweryfest.com for all the details!